If you know about Italian casual style that is just a step under wearing a suit, you know about Italian knitwear. The brand you need to know is Tulliano knitwear and sweaters. Tulliano makes fine silk sweaters for men that are pure Italian style and attitude. 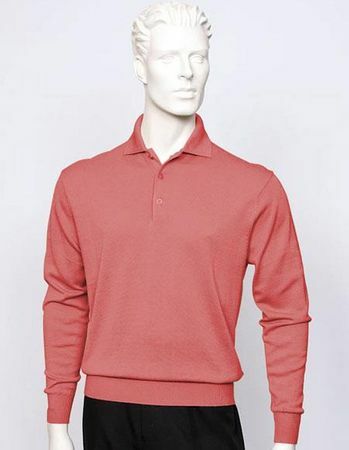 This this coral color sweater is made of that fine silk knit that you'll forget you're wearing even when you're wearing it. It's that comfortable.